The last four months of 2015 were tough. I was locking myself in a claustrophobic student carrel every day, spending 9 hours staring at a computer screen but not being able to finish the final draft of my book. I began having trouble sleeping and pictured a clock ticking everywhere I went. But the source of this anxiety – as I realized later – was a prolonged and unconscious struggle to say something about my research while the evidence was pointing the other way. 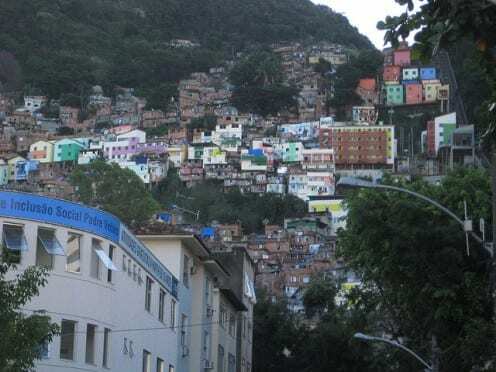 I wanted very badly to conclude on my book saying that this poor settlement in Brazil had a lot of problems, but that because of social media things are changing for the better. But they aren’t. This realization came after a long conversation with a friend that kindly took the time to read a previous draft of my book. The last chapter is about the effects of social media on relationships between people that are not relatives or friends. I did not notice this before, but I ordered the cases in a way to construct an argument that social media was empowering locals to protest against injustices. But this friend summarized her impression of that chapter saying that despite all this fuss about social mobility in Brazil, people are still living as second rate citizens. If a relative is murdered, not just they have to accept that the police will not investigate: they also have to keep quiet or risk being subjected to more violence. The internet and particularly social media is everywhere in this settlement. Teenagers and young people are crazy about it but adults and older folks also share the excitement. There is the enchantment with the new possibilities of being in touch with people and also the pride related to having a computer and to be able to use it. It shows that they are not as “ignorant” [illiterate] as others might have thought and the PC looks good in the living-room next to the flat screen TV. But how much of this represents real change and how much is – as my friend’s commentary indicates –just an appearance of change? In short, I wanted to sympathise with “the oppressed” and also show the internet is empowering. And in order to claim that, I denied the basic evidence of what they do with social media. It is not about learning, though that happens. (For instance, they are much more interested in reading and writing in order to better use things like Facebook and WhatsApp.) However, their reason for wanting to be on social media is mostly to flirt, to share some (very) gruesome videos and to spy on one another and gossip about it. Evangelic Christianity is much more clearly responsible for “positive” change there than the internet or social media: the protestant ideology promotes literacy and education, helps people get and keep their jobs, reduces the incidences of alcoholism and family violence. Social media, on the other hand, is usually not for opening and expanding the access to information and to new relationships, but to restore and strengthen local networks. Facebook and WhatsApp are in some cases a possibility for young people to harness the desire to study and move beyond their subordinate position in society, but it is also intensely used for social control – i.e. for spying and spreading rumours attacking people who want to challenge conformity. The picture I have now is not as neat and “positive”. But perhaps the best contribution an anthropological research has to offer is just that: to challenge generalizations and expose how contradictory human relations can be. On one morning, towards the end of last year, my research assistant here in Baldoíno (our Brazilian fieldsite) a 25 year old college student, was approached by a friend who asked if she had heard of ‘the murder’. About one hour earlier the body of the murderer had been found and taken out of the river. He was the father of four children, a quiet man who killed his wife due to jealousy and shortly after committed suicide. My assistant told me this story as an example of the types of information that spread quicker through face-to-face contact than through digital media – which, here, translates to Facebook. But this story eventually arrived on Facebook and was openly discussed. I started thinking about the speed at which information is transmitted at the beginning of my fieldwork when another young informant mentioned how surprised she was at the knowledge her mother had about things that happened in the community. ‘I’m the one who’s on Facebook’, she told me, ‘but she knows much more that I do’. Everything her mother hears come from her trusted network of friends and family members. I want to argue that my initial ethnographic evidence suggests that face-to-face communication is more efficient because there are certain types of information that does not arrive at Facebook at all (or at least not to its public spaces of communication). About a month ago, a truck had been improperly parked in Baldoíno’s main street. While the driver was unloading goods, the vehicle started to roll down the road and hit two children. Both were taken to the hospital with severe injuries. One of them, a nine year old girl, lost part of her arm as a consequence of the accident. This happened in the early morning while children and teenagers were walking to school. Teens are the most active users of technology here and one of the things they love doing is taking photos and recording videos. On that day, the village looked like a contained but tense swarm of bees as people formed small groups on the streets to exchange information about the accident, what caused it and who was responsible for it. But surprisingly, not one bit of this event made it to Facebook. So, how come certain events arrive at Facebook and others don’t? The day of the accident with the truck, I passed by a store where a trusted research participant works. The moment I came in, a police officer and the truck driver were leaving the store after discussing with her about what she had witnessed. After they left, she told me: ‘It is true, I wasn’t here at the time of the accident, but even if I had been, I would’ve said the same thing, that I didn’t see anything that happened.’ Then she developed her argument explaining she knew the driver, and that he is from the village and is friends with “dangerous people”. She does not feel that the police will protect here. The police won’t prevent a criminal from attacking her or someone from her family out of vengeance, so ‘we must know when to be quiet’, she concluded. The logic about the spreading of information is that potentially hazardous news must be kept in the domain of verbal conversation (which likely includes some direct chatting on Facebook using it’s ‘messages’ function). This solution allows the person to participate on the network of communication without leaving traces of the exact information or opinion she or he shared. Things that are not threatening but equally violent such as a passionate murder can be used openly on Facebook because the subject is of collective interest and will increase the attention given by peers and other people from the same community.